I had my first microdermabrasion facial today with Gina. She is truly a hidden gem and only known through word of mouth. It’s been nearly one year since my last microderm and my face was showing it. I moved to Santa Monica recently and started going through yelp reviews to find my next esthetician. That’s how I found Gina!She really takes her time and caters to your individual needs. I used the Yelp deal today and purchased a package of 3 microderm facials to use in the future. I’m looking forward to going back and seeing her.If you’re looking for a fancy spa this is not for you. Gina is a one woman operation located in a little room up the stairs of Bay Cities Beauty Supply. Her room is very clean, comfortable, and cozy. I was relaxed the whole time I was with her.Thank you GINA!!!! Gina is THE BEST!!!! I am seriously so lucky I found her because I am very picky when it comes to my brows. It’s hard to find a person who is knowledgeable when it comes to face shapes and what fits your face the best. Not only is she knowledgeable, but she is friendly and TAKES HER TIME. I hate going into places where it seems like they rush you in and out without caring if their job looks cleans. Gina makes sure your eyebrows are perfect!I HIGHLY recommend Gina and if you are by the 3rd Street Promenade, I invite you to give her a shot. You will not be recommend.The only tip I have is make sure to call in to book an appointment as sometimes she may not be in or is booked. She is very accommodating though. Gina is the nicest person I have ever met. She is professional and honest and takes the time to get to know you and remembers your preferences and requests for the next time you visit her. I have been going to her for waxing ever since I moved to LA, even though I moved far away from Santa Monica but still much rather put up with the drive to see her than go anywhere else. 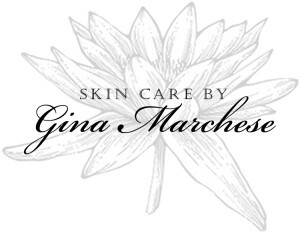 SKIN BY GINA on YELP!